In Napoleon in America, Joseph Bonaparte laments the lack of fine arts in the United States. 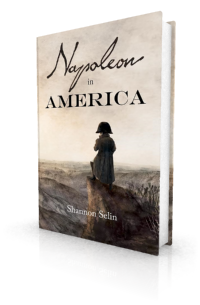 “There are plays in the cities,” he tells Napoleon, “but not one Italian singer.” Joseph knew that his brother was particularly fond of Italian musicians. Napoleon’s favourite composer was Giovanni Paisiello. His favourite singers were the Italian opera virtuosos Girolamo Crescentini and Giuseppina Grassini. (1) Madame Grassini became the lover of both Napoleon and the Duke of Wellington. Here’s a look at her teacher, the castrato Girolamo Crescentini. Girolamo Crescentini was born on February 2, 1766 in Urbania, part of the Papal States. He was a castrato, thus throughout his life he had the voice of a male soprano. When Crescentini was 12 years old, his father sent him to Bologna to study music and singing with the singer and composer Lorenzo Gibelli. Crescentini made his debut five years later, in 1783. He played female characters in serious – as opposed to comic – operas at the theatre in Rome (women were not allowed to appear on the Roman stage). This was followed by engagements in Leghorn, Padua, Venice and Turin. In 1785, Girolamo Crescentini appeared on stage in London. Poor reviews in England did not diminish Crescentini’s appeal to his countrymen. By 1796, when General Napoleon Bonaparte was leading the French army across northern Italy, Girolamo Crescentini was famous. Two operas were written with roles expressly for him: Gli Orazi e i Curiazi by Domenico Cimarosa, and Giulietta e Romeo by Niccolò Zingarelli. Crescentini himself composed an aria for the latter, “Ombra adorata aspetta,” which became known as Romeo’s prayer. It is claimed that immediately before the start of a performance of Gli Orazi e i Curiazi, Crescentini (Curiazio) observed that the costume of Orazio was more magnificent than his own. Enraged, he sent for the stage manager and insisted that the costume be given to him. Crescentini spent four years in Lisbon, returning to Italy in 1803. He then went to Vienna, where he was a great favourite of Maria Theresa of Naples (wife of Francis I of Austria and mother of Napoleon’s future wife, Marie Louise). He became a regular participant in concerts at the Viennese court. 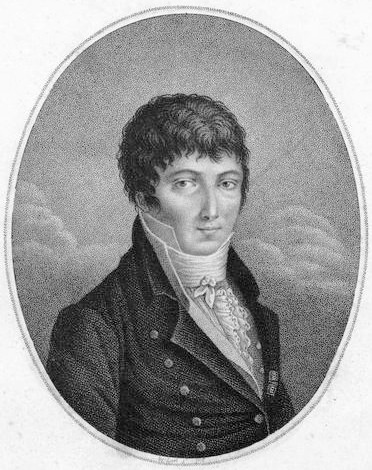 Napoleon, who was said to be moved to tears by Crescentini’s performance of Romeo’s prayer, conferred upon the singer the Order of the Iron Crown. This did not go down well with Parisians. Napoleon commented on the episode when he was in exile on St. Helena. His manners were highly pleasing, affable, and polite – those of a man accustomed to the best society. At this time, he had long retired from public performance. He was a man about five feet ten inches in height, somewhat corpulent – of very plain, or rather coarse features; and had lost many of his teeth. His voice, in speaking, was high-pitched and shrill…. In 1825, Girolamo Crescentini moved to a teaching position in Naples. He died there on April 24, 1846, at the age of 80. By then castrati were out of fashion. Girolamo Crescentini wrote several ariettas for a soprano voice, as well as a number of chamber cantatas, airs with full orchestral accompaniments, and numerous solfeggi. You can download some of his scores from the Petrucci Music Library. Click here to listen to mezzo-soprano Marina Comparato perform Crescentini’s ariettas. “The Emperor’s favourite singers were Crescentini and Madame Grassini.” Louis Constant Wairy, Memoirs of Constant on the Private Life of Napoleon, his Family and his Court, translated by Percy Pinkerton, Vol. 3 (London, 1896), p. 96. Richard Edgcumbe, Musical Reminiscences, Containing an Account of the Italian Opera in England, From 1773 Continued to the Present Time, Fourth Edition (London, 1834), pp. 45-46. George Grove, ed., A Dictionary of Music and Musicians (A.D. 1450-1880), Vol. 1 (London, 1879), p. 416. Henry Reeve, Journal of a Residence at Vienna and Berlin in the Eventful Winter 1805-6 (London, 1877), pp. 16-17. Claire Élisabeth de Vergennes, A Selection from the Letters of Madame de Rémusat to Her Husband and Son, From 1804 to 1813, edited by Frances Cashel Hoey and John Lillie (London, 1881), p. 196. Louis Constant Wairy, Memoirs of Constant on the Private Life of Napoleon, his Family and his Court, translated by Percy Pinkerton, Vol. 3 (London, 1896), pp. 96-97. Emmanuel-August-Dieudonné de Las Cases, Mémorial de Sainte Hélène: Journal of the Private Life and Conversations of the Emperor Napoleon at Saint Helena, Vol. III, Part 5 (London, 1823), pp. 276-278. F. Graham, “The Singer Crescentini,” The Athenaeum Journal of Literature, Science, and the Fine Arts for the Year 1846, No. 979 (London, August 1, 1846), pp. 795-796. Francis Rogers, “The Male Soprano,” The Musical Quarterly, Vol. 5, No. 3 (July 1919), p. 422. J. Fétis, Biographie Universelle des Musiciens et Bibliographie Générale de la Musique, Vol. 3 (Brussels, 1836), p. 216. Great article! Very informative on the Empire’s cultural side! Bravo! It was some time before I could get over a sort of repulsive dislike to the man, but by shutting my eyes and listening to the exquisite tones he uttered, I was highly gratified.